Labour Day is always the day of that final farewell to summer if only because it means returning back to routines with school and work. 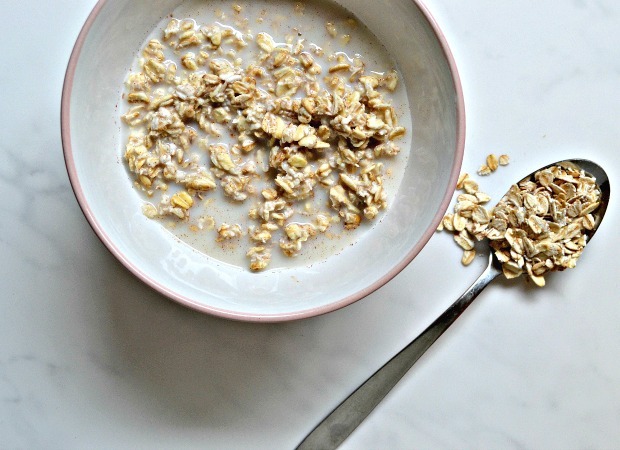 Making that even easier is prepping ahead with easy to make recipes such as this overnight oats breakfast I shared on The Huffington Post today. These really are one of the quickest things to make, ready the night before you wake, and leaving you with more time in the morning. Add the oats, coconut milk, water, vanilla, cinnamon, nutmeg, and pinch of sea salt to a bowl and mix together. Take half the banana, mash with a fork, and add to your mixed oats. Chop the walnuts and add these to the mix. You can also set some aside to add on top in the morning. Place the bowl in the fridge ready to have in the morning. Alternatively, you can add your oat mixture to a jar with a sealed lid overnight in the fridge. 5. 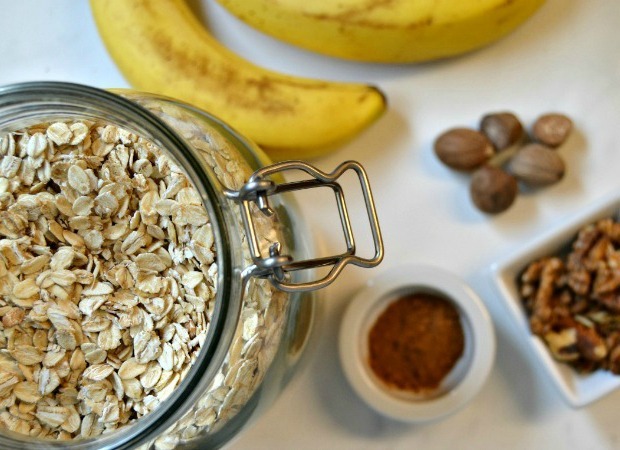 In the morning, add the other half of banana to your oats as well as any additional toppings of your choosing.